A silly story of a dog, a lion and a tiger who show off my seeing how many apples they can balance on their heads as they skip, climb a tree, walk the tightrope and rollerskate their way through the book. 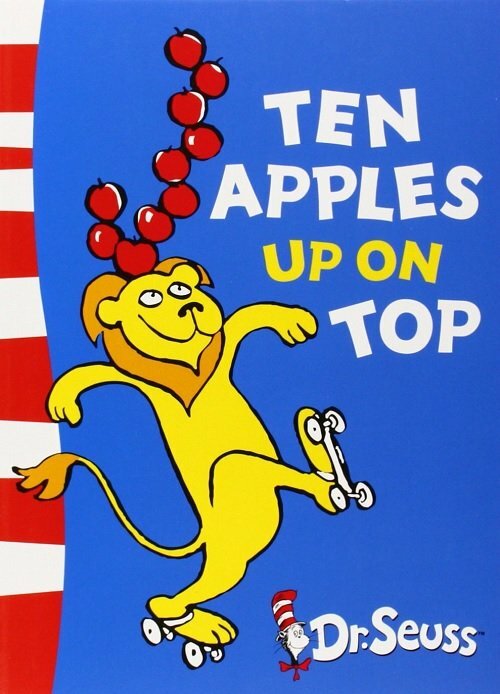 Ten Apples Up on Top by Dr Seuss is a fantastic book to teach young children to count to ten. This picture book can also be used to teach a range of quantity concepts (e.g. many/few, most/least, more/less). I also love using it to teach the location concept ‘top’ as the word can be modelled many times throughout the story and can be followed by fun activities, such as seeing how many beanbags we can put on top of our heads. For further speech and language targets in Ten Apples Up on Top, see the list below.